The calendar for 2019 is out and your search for long weekends has begun. Wondering which destination to choose next? We got your back! Pack your bags and book your tickets to this finest hill station, Kodaikanal. 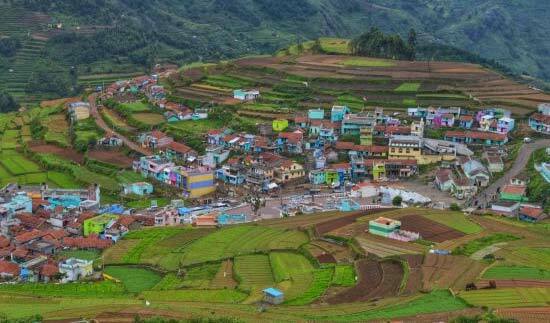 Situated 7200 ft above sea level, Kodaikanal is one of the most beautiful places to visit in Tamilnadu. Also known as “The Princess of Hills”, this place has a series of breathtaking views to leave you mesmerized. Misty hills that unfold the best form of nature, dense forests of Pine trees and magnificent waterfalls – that’s Kodaikanal for you. 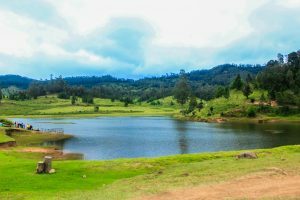 But before I go on to tell you a list of places to visit in Kodaikanal, here’s everything that you need to plan your travel. Nearest Airport to Kodaikanal: If you want to fly down, the nearest airport to Kodaikanal is Madurai, which is around 120 km. From Madurai, you can either book a taxi or board the TNSTC buses that run at regular intervals. 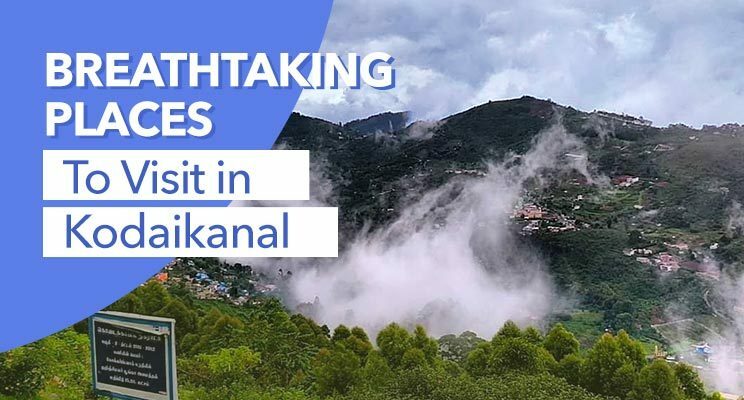 Nearest Bus Station: Kodaikanal is best connected with buses from Dindigul, Palani, Chennai, Pondicherry, Madurai, Trichy, etc. 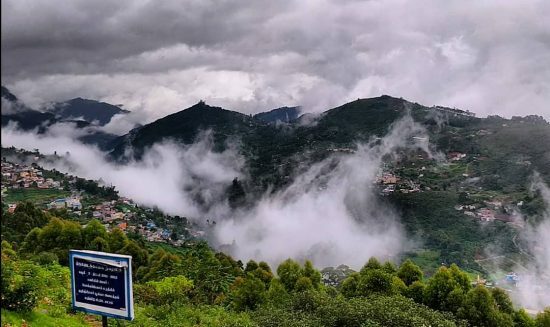 Nearest Railway Station: Though Kodai Road is the nearest railway station that is just 100 km away, the taxi fares from Kodai Road to Kodaikanal are generally very high. It’s always advisable to take the bus as it’s pretty cheap. 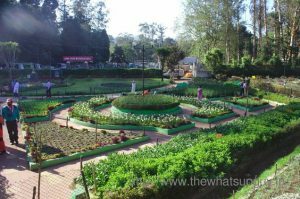 Moving forward, let me take you on a virtual tour to Kodaikanal. This man-made star-shaped lake is situated right at the heart of the city. 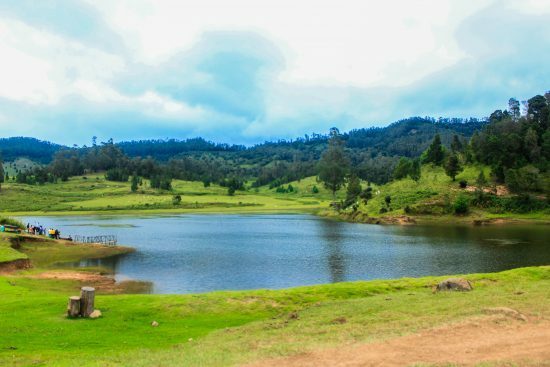 Spread across 60 acres, Kodai Lake will surely be your favorite destination for long walks. You can also rent cycles on an hourly basis or go for boating in this peaceful piece of nature. 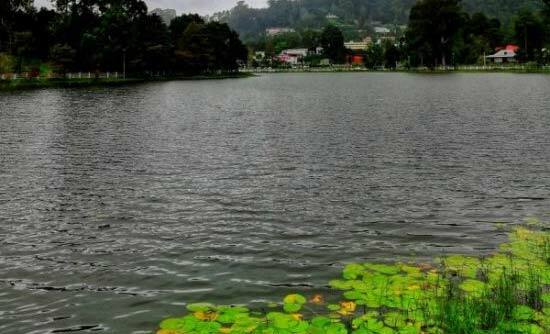 This lake was created in 1863 and ever since then, it’s attracted tourists every single day. 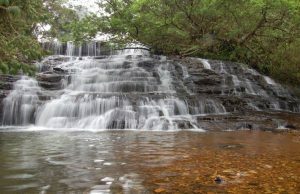 The outflow of Kodaikanal Lake results in a beautiful waterfall called Silver Cascade. Do Not Miss: This star-shaped lake has a beautiful pathway around it. Do NOT miss taking a long walk around this beautiful lake under the open, starry night. Take a walk into lush green nature and rejuvenate your soul with this breathtaking beauty. Around 21 km in the forests, Berijam Lake is a restricted area that’s open for public only during the day. Berijam Lake will make you lose yourself into the lap of nature and you will leave only to come back again. Pro Tip: Take permission from the Forest Department a day prior to your visit. Created by Lt Coaker in 1872, Coaker’s Walk is a pathway to walk or cycle witnessing the beautiful hills of Pamber River. If you are lucky enough, you can also spot the very famous Brachem Spectre – a rare event when the sun is behind one’s back and the clouds and mist in front, a person can actually see their shadow in the clouds around a rainbow. Interesting, isn’t it? Pro Tip: Carry enough cash with you. There’s a huge chance of fluctuating signal and if Paytm doesn’t work, you might not get a chance to munch on the local snacks when you take the Coaker’s Walk. This is a must visit place if you are a die-hard chocolate fan. 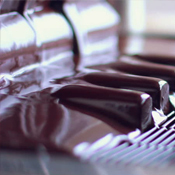 This 100% vegetarian chocolate factory specializes in making home-made chocolates of all kinds. Try out an array of flavors and pick a box for loved ones. The prices are way too cheap than any branded chocolate. Pro Tip: These chocolates are fresh and super tasty. Get a couple of boxes on your way back as it’s only available in Kodaikanal. Also, it’s way too cheap as compared to the branded chocolates. Wild Honey is famous, grab a box before you leave. It’s a paradise and there’s no doubt about it. Get ready for the drive of your dreams because the road to Mannavanur Lake is truly unmatched. With beautiful Eucalyptus and Pine forest on both sides, this road is something to remember, always! 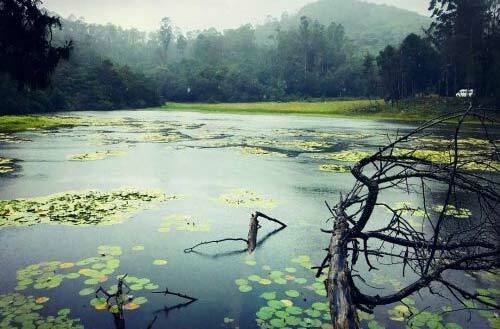 Mannavanur Lake is a pristine piece of nature that will leave you relaxed and rejuvenated. You’ll thank me a million times for this retreat. This tall waterfall was originally the place for bears to drink water. A drive through the dense forest will take you to Bear Sholay Falls that’s one of the best places to visit. Do not forget to carry extra clothes because if the water flow isn’t very fierce, you can swim in clean and chilly water. This 20.5-acre Botanical garden will surprise you with its rich flora. Bryant Park boasts about a massive variety of trees and shrubs that are captivating enough to make this one of the best tourist spots. 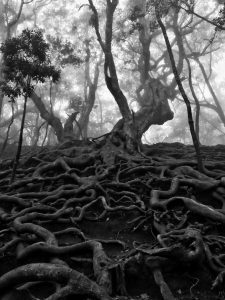 Having around 325 varieties of trees and shrubs and about 740 species of roses, this place cannot be skipped. This place is a must visit in Kodaikanal. 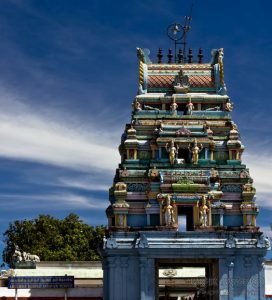 Situated on the rolling hills of Palani, Astrophysical Observatory was constructed in 1899 and is one of the oldest in the world. 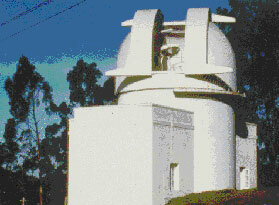 The 20 cm refractor at the observatory is often used for cometary. The place is also famous for occultation observation and the general public can also view the night sky. If you are an astronomy enthusiast, this place is a paradise for you. Timings: It remains open to the public on Fridays between 10 AM to 12 noon. From April 1st to June 15th, people can visit every day between 10 AM to 12 Noon and 2 PM to 4 PM. 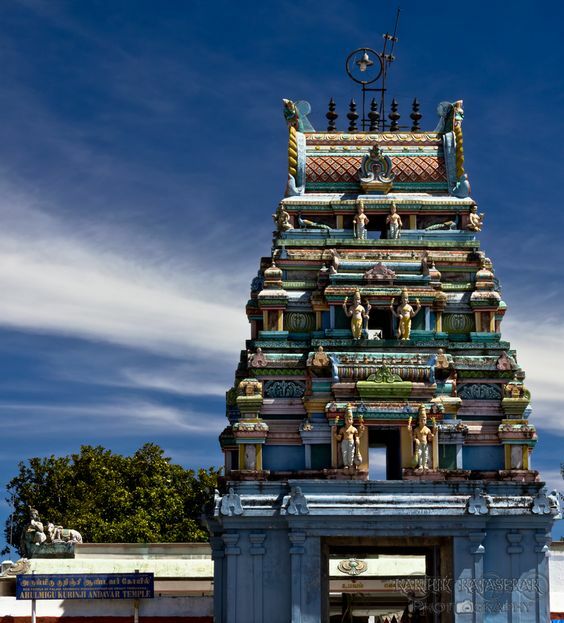 Kurinji Andavar Murugan is one of the most famous tourist attraction in Kodaikanal. Famous for the Kurinji Flowers that experience full bloom once in 12 years, this temple looks like a blue carpet when the bloom happens. It’s definitely a sight to behold. The next full bloom is due in 2030, mark your calendar. Does the picture remind you of those scary television shows? Amigos, this places is both beautiful and scary at the same time. This dark cave that was once called “The Devil’s Kitchen” makes for a great picture background but is equally risky. The steep slides that are invisible might result in taking your life so walk carefully. Tread through the beautiful pine forests to have a picture-perfect frame but watch your steps. Wondering where to stay in Kodaikanal? Check out these amazing stays in Kodaikanal that’ll make your experience most memorable.